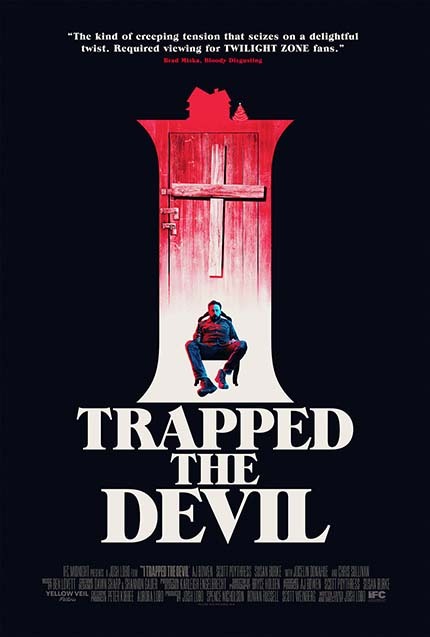 We announced last week that Josh Lobo's debut horror flick I Trapped the Devil is playing at four film festivals down in the States this month before IFC Midnight puts it out in U.S. cinemas and On Demand on April 26th. The trailer was released today. Have a look below. It looks like I Trapped the Devil will screen next week at Imagine in the Netherlands. We also announced earlier today that it will also play at Blood Window Pinamar the following week. Since I'm not expecting to be back in Argentina until the end of the year we look to other Anarchists on the ground at Imagine or Chattanooga for the earliest word on Lobo's first film.